We specialize in Gold, Silver & Platinum Bullion. Major Coin Auctions since 1982. 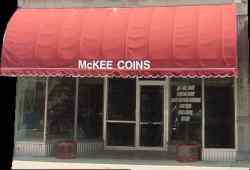 We buy & sell Coin collections of all sizes and offer free estate appraisals. You have stuck with us a long time, you deserve the best and here it is. Gold, Silver, and much more, in our two day auction.